The Brief: Read and gain a good understanding of The Machine Stops. 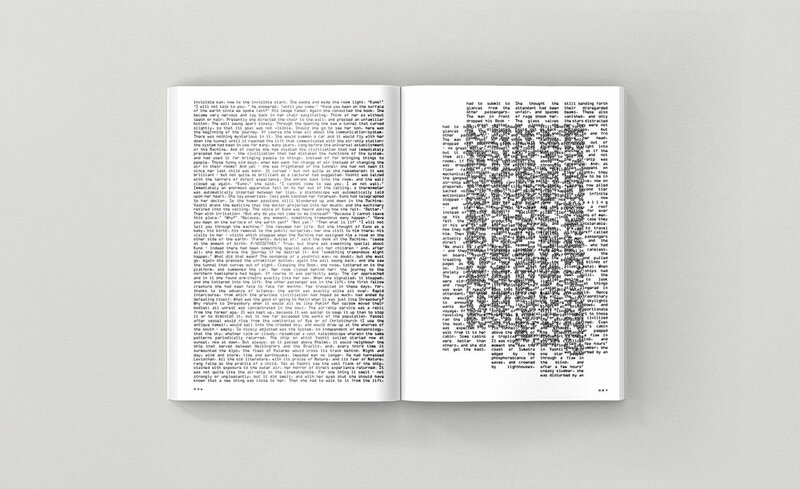 You are asked to create a purely typographic response using the entire text. You may include elements such as tone/ texture/ mark making/ shape/ line, however the use of photographic images/ illustrations is strictly prohibited. This is to encourage you to focus on the typographic decisions you are making in relation to the text. Story written by E.M. Foster. ‘The Machine Stops’ was first published in book form in The Eternal Moment and Other Stories (London, 1928).